It’s time for an update on recent happenings. BANANO has seen a huge spike of interest and a rapid growth with lots of new community members especially in the last few days. The new BANANO Miner Faucet was intensively discussed within our community, and we have lots of new community members coming from China, Turkey, and other countries. Welcome to all our new community members ❤! If you know BANANO, then you know that we have an ongoing free distribution, and like to experiment. We are constantly trying different types of faucets and faucet games and try our best to make sure that the BANANO distribution is free and fair. 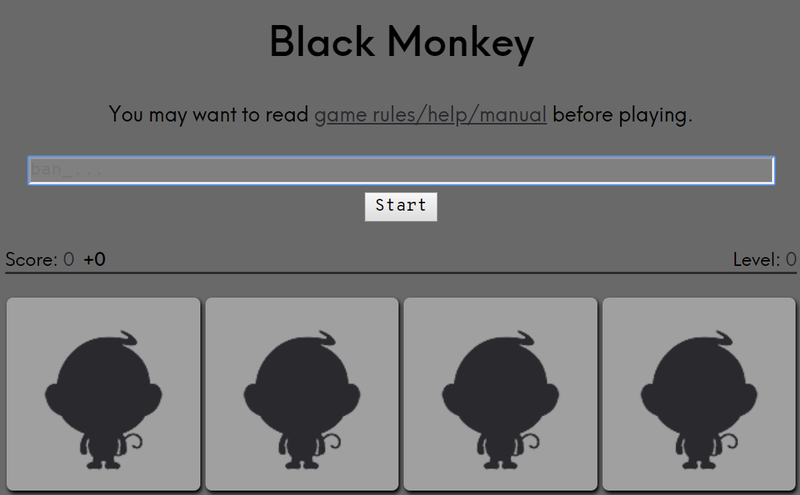 For example, just yesterday started a 24 hour round of our popular ‘Black Monkey’ faucet game. Already some weeks ago, the Banano community member sau412 created a Banano ‘Mining’ website where users could mine the cryptocurrency webchain in their browser. 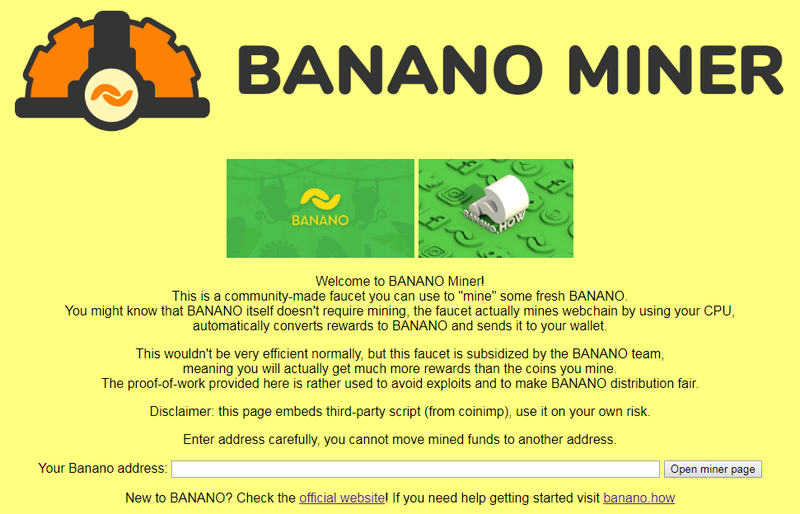 Mining rewards were then automatically converted to BANANO and sent to the users’ wallet. This website, however, was only used by very few people since CPU mining with regular computers wouldn’t be very profitable. It took hours with average computers at this stage to even ‘mine’ 1 BANANO. To evaluate the use of this Miner Website as BANANO faucet, the BANANO team then teamed up with sau412 and subsidized the faucet significantly, meaning that the BANANO Miner Faucet paid out way more in BANANO than the actually mined webchain is worth. The idea was to have another way of BANANO distribution, and avoid exploits through the implementation of the CPU mining aspect. We never expected the miner to gain the massive interest it then surprisingly did, leading to a huge spike in new community members around the world. Apparently this relatively simple BANANO Miner Faucet gained lots of attention from cryptocurrency/mining enthusiasts from all over the world, and in particular from China. The main reason at this point was that most CPU mining coins were orders of magnitude less profitable to ‘mine’. The subsequent amount of community members using the miner was even so high that we had to upgrade our automatic payment system to ensure the automatic reward payments were sent properly. In the first year history of the BANANO main-net (started on April 1st, so almost exactly one year!) we have always seen organic growth of our community. However, there was rarely a phase where that many new people became interested in BANANO and joined our social media channels, in just the first few days after the BANANO Miner was announced. Our Discord server saw a huge influx of especially Chinese members, and also from other countries like Turkey we had so many new people coming in that we had to create new Telegram groups in even more languages. We now have a total of 15 Telegram groups, most of them being highly active and growing rapidly. For example, our Turkish Telegram group is just a week old and already has more than 120 members! 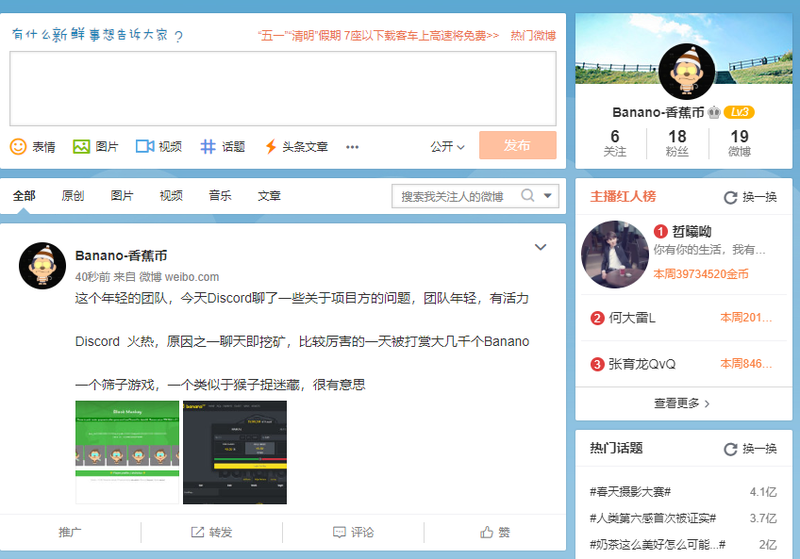 The interest especially in China also led to newly created Banano groups in Chinese social networks. We are very happy that our community has received this attention, and we heartily welcome all new community members! Just today, $BANANO also was listed on its first Asian exchange, Citex.io (source/details). The BANANO team didn’t initiate this listing, however trading just began about 1 hour ago and seems to work well. BANANO was listed on Citex with BTC and ETH trading pairs. After Mercatox and Txbit.io, Citex is now already the third ‘bigger’ exchange BANANO can be traded on. This exchange is probably especially targeting Asian traders. While we are glad about the attention, we’d like to take this occasion to also emphasize the downsides of cryptocurrency mining, which includes the concept of our BANANO Miner Faucet. It’s important to be clear and transparent about the fairness of this faucet, and what has happened in terms of mining, faucet payments, and what will happen to the actual mined funds. One thing upfront: The idea from the start was to 'just' use the Banano Miner as another faucet among many others to distribute Banano broadly, automatically and efficiently. While the increase of our community was a positive aspect, mining is generally a waste of power and something that doesn’t fit very well to a DAG coin like BANANO that should rather stand for green cryptocurrency transactions. The 'waste' of energy is often discussed in the public as negative aspect of classical ‘proof-of-work’ coins like Bitcoin. DAG Coins like Nano or BANANO have solved this issue, and transactions without the requirement for excessive energy are one of their major features. This is also why BANANO transactions are feeless. Since the subsidized start of the BANANO Miner Faucet on March 20, 8 days ago, rewards have been sent to 1869 distinct addresses in a total of 10364 transactions. Most rewards have been sent directly from this address, while during the first two days rewards also have been sent from this address. The median of the sent BANANO amount per unique address is 200, and more than 16 Million BANANO have been distributed in total, just in 8 days. While it’s some upside to have a rapidly growing community and get BANANO distribution going at higher frequencies, we have experienced that very few users with access to lots (!) of computing power were able to ‘mine’ lots of BANANO, making this faucet not fair in that sense to everyone. The highest amount withdrawn to a single account was 1.9 Million BANANO, probably a mining farm in Asia (thereby consuming lots of electricity in the process). On the other hand, BANANO was distributed to many different ‘normal’ community members as well, however their chances to get such high amounts of BANANO were quite low. This means that the BANANO Miner Faucet as is wasn’t/isn’t overall the fairest faucet we had, while being quite efficient in terms of automatic distributing BANANO to lots of different people when compared to other previous faucets. For now, the BANANO team has decided to keep the BANANO Miner Faucet running at heavily reduced reward rates among the other BANANO faucets and games, which means the Miner Faucet is still more profitable than all other CPU mining coins, but the difference will be much lower than previously. In the meantime, we are working on options to make this faucet type fairer and also greener, i.e. we’ll try to avoid wasting energy, and use it for something more useful. So after all, you can look forward to innovative and maybe somewhat surprising solutions coming up quite soon. As mentioned, the Banano Miner doesn’t mine BANANO but Webchain and Jsecoin through the service CoinImp. Since we paid all faucet users with subsidized BANANO, there still are the real miner rewards. Within the first 8 days, those were 465,186.14 WEB and 34946 JSE, with a total current converted value of ca. 700 USD. We’ve decided that 30% of those funds will (together with an additional reward in BANANO) go to the creator of the BANANO Miner Faucet website (sau421) who throughout the process has constantly worked on optimizing and adjusting the faucet. Keep in mind that he also created this website without ever asking for anything, it was our idea to actually use the website as BANANO faucet in a subsidized version. The remaining 70% will be used as BANANO developer’s fund, e.g. to cover future costs such as exchange listings or related development costs.